The battleship Courbet belonged to the class of the same name and was the first modern dreadnought battleship of the French Navy to be completed at the beginning of the First World War. From 1910, Augustin Boué de Lapeyrère was the new minister in charge of the French naval ministry and also headed the 1906 programme for modernising and expanding the French fleet. 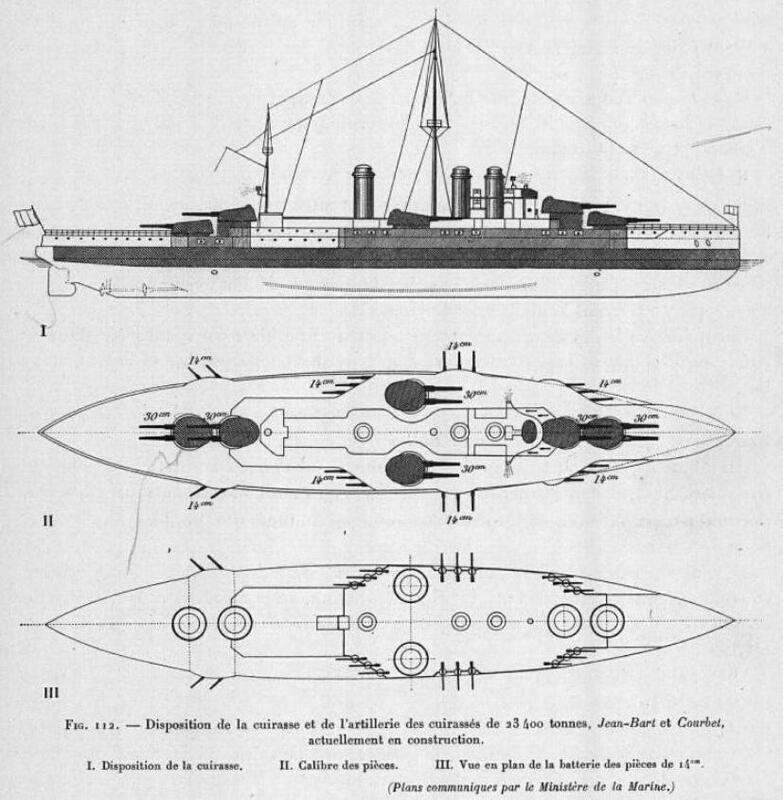 Lapeyrère followed the models built in other countries at the time in proposing and designing new battleships. The ships of the Courbet were to have a length of 166 metres and a width of 27 metres with a maximum displacement of 25,850 tonnes. Twelve 30.5 cm L/45 Model 1910 guns were selected as armament. These weapons were introduced as early as 1906 under the designation L/45 Model 1906, but were subsequently modified somewhat. These cannons were housed in twin turrets weighing 6 x 560 tons, with 2 turrets each at the front and rear and 1 turret each at the side. For the middle artillery the designers selected 22 x 13.86 cm guns L/55 model 1910. These were inferior to comparable warships from Great Britain and the German Reich, but these guns had a very good handling during the loading process and a higher firing speed. Further 4 x 45 cm torpedo tubes of the model 1909 were installed, whose tubes lay below the waterline. In contrast to the later sister ships France and Paris, the Courbet and the Jean Bart 24 had Niclausse boilers to drive the two Parsons steam turbine sets built under licence, each with two propeller shafts. The aim was to achieve an output of 28,000 hp and a maximum speed of 21 knots (39 km/h). During later test drives, however, the speed was slightly undershot. In order to counteract the increasing danger of torpedoes and such attacks, the armor of the ships' main armor has been reinforced. The 99 metre long and 4.75 metre high armour was 2.35 metres above and 2.40 metres below the waterline and was up to 270 mm thick. The construction of the Courbet began after the order on September 1, 1910, the launch on September 23, 1911 and the commissioning on November 19, 1913. After the commissioning, the test runs and a voyage with the French President Raymond Poincaré to Great Britain, the ship was assigned to the 1st Division de Ligne and served Vice Admiral Augustin Boué de Lapeyrère as flagship. 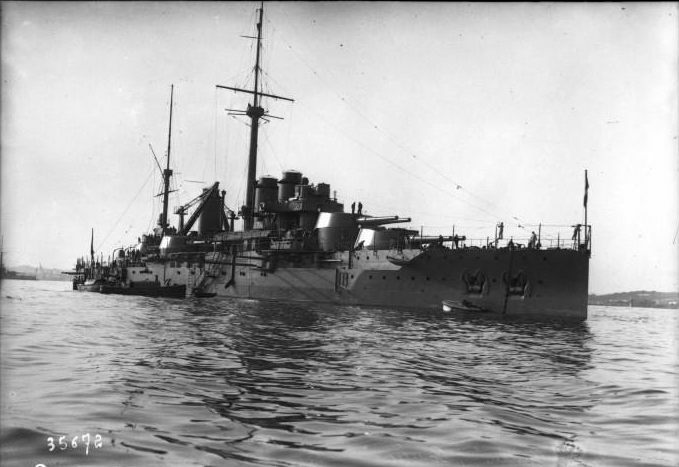 After the German Empire declared war on France on 3 August 1914, de Lapeyrère had his fleet split up to protect the troop transports from Algeria to France, since the German battle cruiser SMS Goeben was on its way in the Mediterranean Sea and its position was unknown. 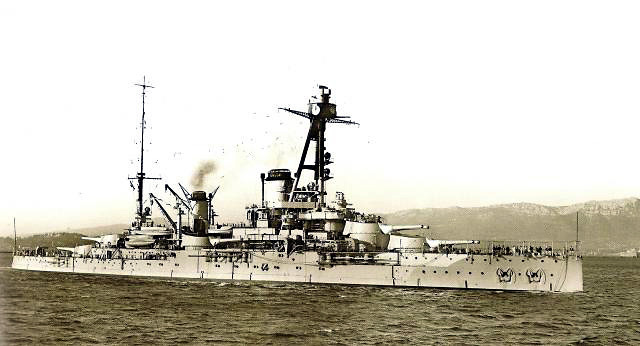 After the declaration of war against Austro-Hungary on August 12, 1914, de Lapeyrère pulled his warships together and sent the battleships to Otranto in Italy and patrolled the armoured cruisers off the Albanian coast. 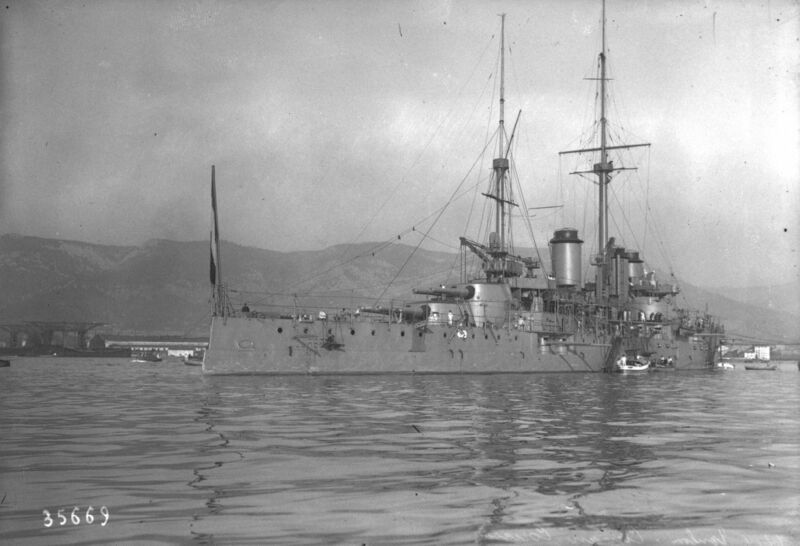 On the 16th of August a battle took place with several Austro-Hungarian ships, during which the protected cruiser Zenta off Antivari could be sunk by the French ships. 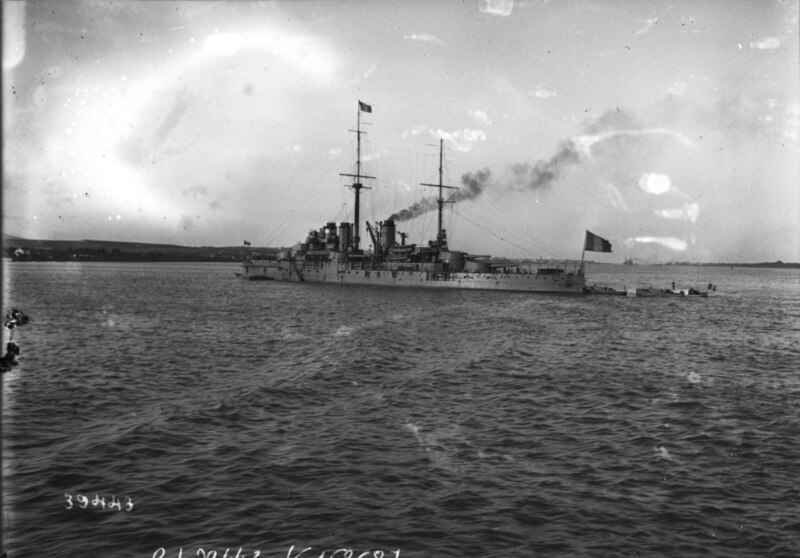 On 1 September the same battleships fired at Austro-Hungarian coastal fortifications near the Bay of Cattaro. 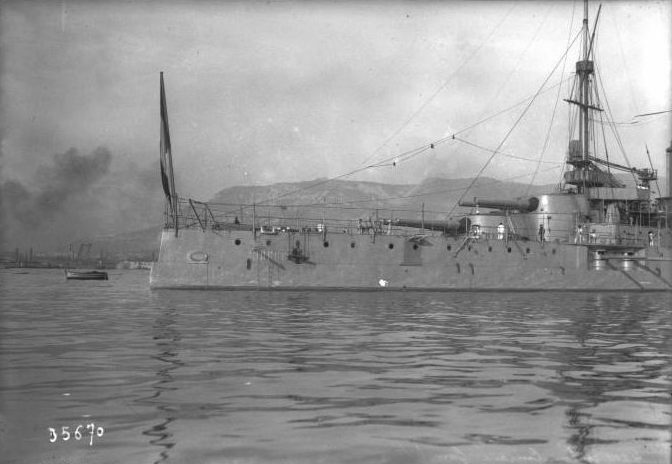 In the coming weeks, the ships patrolled between the Greek and Italian coasts to prevent the Austro-Hungarian fleet from departing. The battleship Jean Bart was attacked and severely damaged by the Austro-Hungarian submarine U-12 on 21 December. De Lapeyrère then withdrew his battleships after realising that they were still insufficiently protected against submarine attacks. At the beginning of 1915, the French naval command received information that the Austrian-Hungarian fleet was leaving. 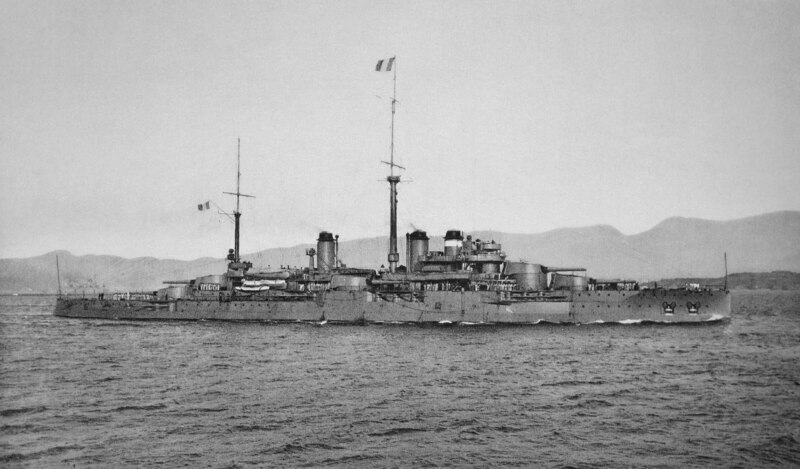 De Lapeyrère then allowed his ships to leave on 11 January 1915 and patrol off the Albanian coast. After the information turned out to be false, the ships returned to their ports. 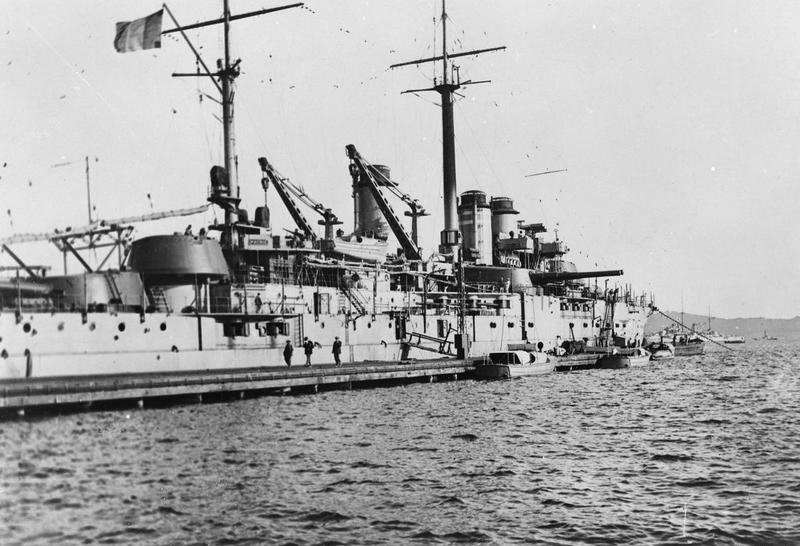 Italy's declaration of war against Austria-Hungary on 23 May 1915 led to Italian warships monitoring the coasts and French ships retreating to their ports in Malta or Bizerte. The rest of 1915 was used to carry out some conversions on the battleships and to exchange the smaller guns. 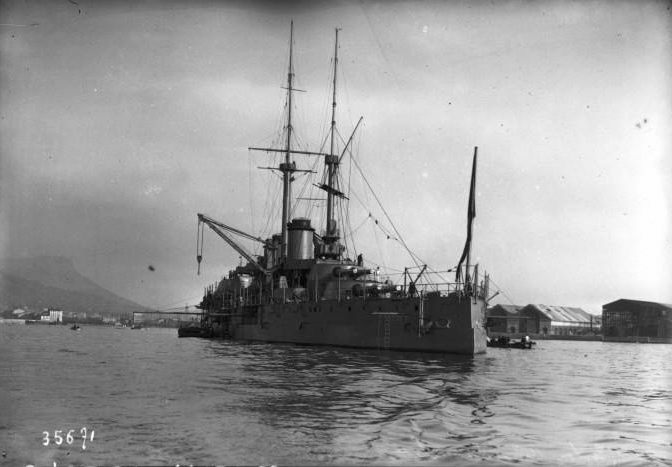 At the beginning of 1917 the Greek island Corfu could also be used as a base besides Argostoli, but the increasing shortage of coal and the limited range of use of the warships became apparent. From 1918, the shortage was so great that the warships were almost no longer operational. The last year of the war was therefore mainly used for reconstruction measures and the Courbet was assigned to the 2nd battle department of the 1st fighter squadron on 1 July 1918 and remained there until the end of the war. After the end of the First World War, the Courbet was ordered back to the port of Toulon and overhauled there. 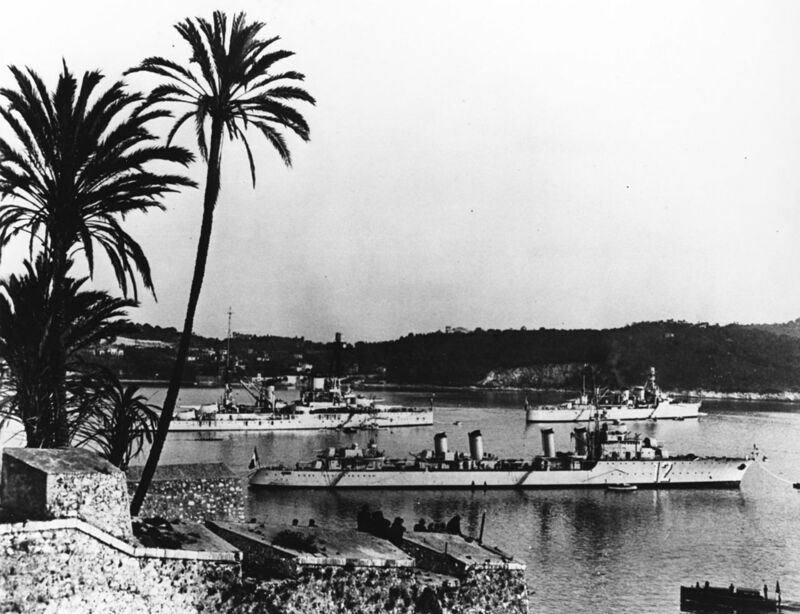 Until 10 February 1920 it was also allocated to the reserve until the restructuring of the French fleets was completed and the ship was assigned to the western Mediterranean squadron. On 20 July 1921 this was merged with the eastern Mediterranean squadron to form the Mediterranean squadron again. In the following years the Courbet served for the training until on 6 June 1923 in the boiler plant a fire was released and the propulsion plant heavily damaged. Until 16 April 1924 the ship was in Seyne-sur-Mer and received some new boilers of the type Du Temple as well as some modifications. For example, the range of the guns was increased by the tubes rising much steeper and the air defence guns were replaced by 75 mm Modèle AA guns from 1918. After completion of the repair and conversion work, another fire broke out in the boilers on August 1, 1924, causing 10 sailors to be seriously injured and 3 to die. After also the renewed damage at the boilers was repaired, some maneuvers were accomplished in the following years until the ship was extensively modernized starting from 15 January 1927 in Toulon. The ship received a complete exchange of the boilers against 6 oil boilers and 16 coal boilers, which were originally built for the already scrapped battleship Normandie. Furthermore the fire control system, the rangefinders and some guns were replaced by more modern versions. The conversion measures were on 12 January 1931. During subsequent test runs, however, it turned out that the maximum speed had fallen with the installed propulsion system and that the first turbine had already been damaged on 25 March 1931. After the renewed repair the Courbet was assigned to the training unit and served there until the unit was dissolved on 10 June 1939. 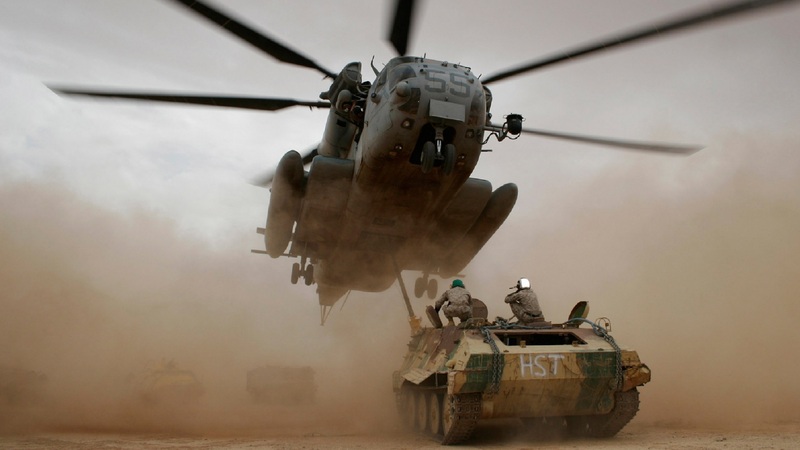 Subsequently it was divided into the 3rd Battle Division of the 5th Squadron. After the beginning of the Second World War, the battleship Courbet, together with its sister ship Paris, initially continued its training missions. Only after the invasion of the German Wehrmacht on 10 May 1940 in Belgium and France were the ships put on alert and reactivated as warships. Under the leadership of Vice Admiral Jean-Marie Abrial, the ships were used to defend the French ports on the English Channel. Thus, on 19 June, the Courbet supported the defence of Cherbourg against the advancing German 7th Panzer Division and the subsequent evacuation of the city. After this was completed, the ship called at the British port of Portsmouth, where other French warships also arrived, which were brought to safety from the German Wehrmacht. After France capitulated, the British army started the confiscation of the interned French warships on 3 July 1940 under the name Operation Catapult so that they were not delivered to Germany. A week later the British troops transferred the Courbet to the Free French Army, which had been established in Great Britain. First the ship was equipped with further anti-aircraft guns to protect the harbour against German bombers. Until 31 March 1941 all weapons were dismantled and the rest of the ship was used as accommodation. In the course of planning and preparing an Allied invasion of northern France, the Courbet was assigned as one of the breakwaters. The ship's propulsion system was then completely dismantled and concrete pedestals were placed inside to weigh the ship down. On 7 June 1944 the Courbet was towed by 2 British tugs from Weymouth to Sword Beach, where it ran aground on 9 June and was sunk with torpedoes from 15 to 17 August. After the war, work began on scrapping the wreck. These were only completed in 1970.